Not saying your wrong or anything but surley centrifugal force would try and push it into the tyre, but the air pressure in the tyre would stop it doing that. Unless I presume it can bend the rubber stem. Garmin clearly states they should only be used with metal stems ....I have no reason to doubt them as they are the ones who make the sensors. I picked up a de-cat pipe off the forum some time back and have now found an Akro to go with it. So I have decided to part with the Delkevic. I also have an MTC exhaust that I probably won't use now either which I need to post for sale, there's a picture in my gallery. Looking for £50.00 +post for that. I can send to Belgium no problem,just need to check on postage first. I bought the same about 3 yrs ago, can't remember the price but I also didn't have any custom charges. 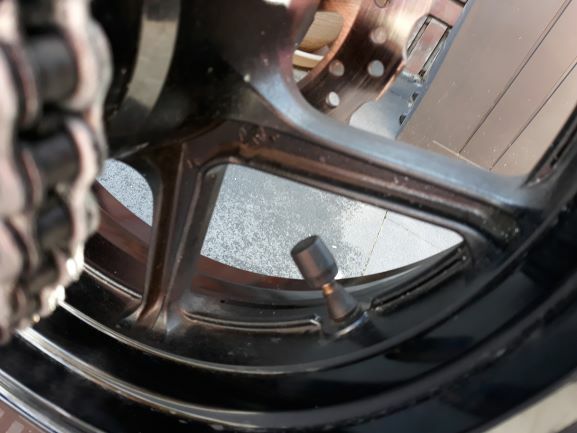 Just an FYI..Those sensors are not supposed to be mounted on rubber stems...they can pull the stems out at speed and I dont have to tell you that will not be a fun ride. Next I wanted to be able to monitor the tire preasure so Garmin TPMS sensors. Hi - total cost when I bought mine was $109.50 including shipping. Worked out at £86.46 in December 2018. I wasn't stung for any import duties, but it's the luck of the draw.